MiFID II Directive sometimes can be regarded as a really ground-breaking piece of legislation. This is also the case with respect to position limits, as MiFID II for the first time creates legal base enabling the imposition - across the European Union - of such mandatory restrictions on the size of commercial trading. - it has to ensure limits are low enough to avoid squeezes without killing off contracts with only two or three participants. The above source makes, moreover, a reference to the US position limits regime, in place for several decades, with the CFTC expanding its existing framework, applying to 9 agricultural contracts, to 28 core physical commodity contracts - the most liquid contracts - and to contracts which are economically equivalent to them. This can't be compared to the the EU position limits architecture, which is far more extensive. The quantitative dimension of the implementation challenges ahead of the European regulators has been estimated by the ESMA's Chair at the level of around 1,500 liquid contracts for which position limits will have to be established by national regulators before 2018 with ESMA having to produce an opinion for every single contract (ECON MiFID II/MiFIR Scrutiny Session, 21 June 2016, Committee on Economic and Monetary Affairs European Parliament, Steven Maijoor, Chair, European Securities and Markets Authority, 21 June 2016 (ESMA/2016/940)). However, given no transitional provisions are foreseen in that area under MiFID II and considering large amounts of data to gather and analyse for the proper calibration of position limits, ESMA, together with the EU Member States’ National Competent Authorities (NCAs), agreed on 28 September 2017 that to be not possible to finalise and publish all the position limit opinions for liquid commodity derivative contracts by the end of 2017. The provisional framework was considered necessary. The provisional procedure to be followed was set out in the “Public Statement, Joint work plan of ESMA and NCAs for opinions on MiFID II pre-trade transparency waivers and position limits” of 28 September 2017 (ESMA70-154-356). - where NCAs would amend their initial decision for position limit after ESMA has issued a non-compliant opinion, market participants will be given sufficient lead-time to adapt to the revised trading environment. The EU is going into new, unchartered territory by implementing the most extensive position limits regime in the world. The purpose of these provisional rules was to let market participants know position limits sufficiently far in advance to apply for appropriate exemptions, enter positions with confidence or reduce positions which would not be permissible under the regime without damaging markets. It is necessary as position limits are a prominent MiFID II building block, the specificity thereof expressed in particular in the fact that the compliance is required of all persons, regardless of whether they are exempt from the scope of MiFID II under the provisions of Article 2 MiFID II (no matter Article 2(1)(d) - own account exemption, Article 2(1)(j) - ancillary activity exemption or Article 2(1)(e) - EU ETS operators exemption). At the same time the compliance with the position limits is a challenging task for industries and requires robust internal procedures and reporting lines as firms need to monitor aggregated positions across the globe and net any economically equivalent positions in real time (position limits are applicable not only at the end of each trading day but also throughout the trading day - at all times, this is particularly relevant when a commodity derivative is traded OTC outside the normal trading hours of a trading venue). It is noteworthy in that regard that also some unauthorised firms will have to apply for exemptions from position limits. Only positions held by or on behalf of non-financials which are objectively measurable as reducing risks directly relating to commercial activity (i.e. hedging) potentially do not count towards the limits - subject to the approval of the competent authority. In some cases such notification to the competent authority for an exemption will be necessary, given that the MiFID II legislative framework for position limits makes possible to establish quantitative thresholds for the maximum size of a position in a commodity derivative that persons can hold. Hence, it is inherently involved with investment firms' and market operators' necessity to monitor expositions as well as to provide relevant client's information up to the position's ultimate beneficiary. - Article 69(1) and 69(2)(p), which clearly include, among supervisory powers granted to the EU Member States' competent financial authorities, also the general power to "limit the ability of any person from entering into a commodity derivative, including by introducing limits on the size of a position any person can hold at all times." In principle, the said limits may be applied with respect to positions in commodity derivatives, no matter: physically or cash settled. First ESMA's opinions on concrete position limits have been adopted on 10 August 2017 with respect to the agricultural products on the notification of the French Autorité des Marchés Financiers (AMF) and related to the milling wheat, corn and the rapeseed EURONEXT contracts (Opinion on position limits on milling wheat No. 2 contract (ESMA70-155-983), Opinion on position limits on corn contract (ESMA70-155-988), Opinion on position limits on rapeseed contract (ESMA70-155-993)). They were followed on 24 October 2017 by ESMA’s opinions on MiFID II position limits on zinc, tin, nickel, lead, copper, aluminium, ICE white sugar, Robusta coffee and London cocoa contracts (notification of the UK FCA). On 26 October 2017 the UK FCA published the list of position limits for commodity derivative contracts identified as trading on the UK trading venues. 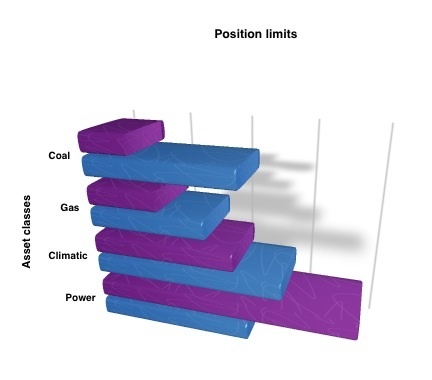 Position limits' scope should be considered firstly in terms of the types of markets and assets covered. MiFID II position limits do not apply to forwards in power or natural gas traded on an OTF that must be physically settled (REMIT carve-out). b. OTC commodity derivatives contracts which are "economically equivalent" (the so-called “EEOTC contracts” - the respective criteria being specified in the secondary legislation). The preliminary observation is, however, position limits scope is restricted to commodity derivatives. Mindful of the fact that every time MiFID II wishes to encompass emission allowances, it makes a specific reference thereto (multiple phrases "commodity derivatives, emission allowances and derivatives thereof") and considering such a reference is absent in Article 59 of MiFID II regulating the application of position limits (it literally names only "commodity derivatives") it is appropriate to infer, emission allowances are not subject to MiFID II provisions on position limits. This opinion is supported, moreover, by the "commodity derivative" definition (Article 2(1)(30) of the MiFIR), where point 11 in Section C of the Annex I to MiFID II Directive (covering carbon credits) is not included. The UK Financial Conduct Authority (FCA) unambiguously confirmed that "emission allowances classified as C(11) financial instruments for the purposes of MiFID II are explicitly required to be reported, but they will not have a position limit". Contracts in securities (such as exchange traded products (ETPs)), which have a commodities underlying, are, in the ESMA’s opinion covered by the position limits legal framework since they are included within the definition of "commodity derivatives". For the purpose of position limits regime "position" means the net accumulation of buy and sell transactions in a particular commodity derivative at a specific point in time that has yet to be closed out, expired, or exercised, as appropriate to the instrument concerned. An alternative expression of this term is the "open interest" that is controlled by a person. Market participants' positions will be monitored and position limits will be applied by the competent authorities with the use of data acquired through the MiFID II position reporting system. However, a practical difficulty may be the fact, as ESMA notes, "there is currently no universally adopted and harmonised set of product codes for identifying commodity derivatives. The two primary alternatives are the use of Alternative Instrument Identifier codes (AII) or the use of ISIN codes. A third, less optimal and more complicated alternative is to use a combination of both". The third alternative is not proposed by ESMA. In turn, the UK FCA said that since MiFID II requires that position limits are set for each commodity derivative, position limits exemption should be applied for and will be approved on a commodity derivative contract basis. FCA underlined that the position limit applies per Venue Product Code so the different instrument types will be aggregated by the FCA in its calculation to determine whether a position limit has been breached. For the purpose of position limits' monitoring the use of the Approved Reporting Mechanisms (ARMs) and trade repositories is also considered. On 2 October 2018 (Questions and Answers on MiFID II and MiFIR commodity derivatives topics ESMA70-872942901-36, Question 18) ESMA specified its stance on the issue whether position limits also apply to positions in contracts that have been entered into prior to 3 January 2018 and are traded on a trading venue, including an OTF, or are economically equivalent OTC contracts (EEOTC) to those traded on a trading venue. According to the ESMA the answer to this issue is affirmative. ESMA explained that the position limits regime does apply to all positions in commodity derivatives offered by EU trading venues and EEOTC contracts, irrespective of the time when the contracts have been entered into. This is because all positions in a MiFID II commodity derivative held by a position holder are assessed constantly and from the point of application. Articles 57 and 58 of MiFID II do not refer to the formation of the contract in any of their provisions. The requirement of Article 57(2) MiFID II for the quantitative thresholds for position limits to be 'clear', can, in principle, be fulfiled both: as a percentage relationship between a position and some measure of absolute deliverable supply or overall market size measure as well as an amount of lots of a specific contract on a trading venue or a quantity of the underlying in the contract (which may be tonnes, barrels, MWh, etc). The legislative proposition ESMA made in December 2014 draft regulatory technical standard specified the position limits in lots (the lot being defined as the unit of quantity used by the trading venue on which the commodity derivative contract trades). The draft Regulation of 28 September 2015 modified the methodology for the calculation of position limits. The underlying assumption became to differentiate between spot and other months' contracts. In this renewed drafting ESMA maintained its proposal that position limits in the spot month should be based on deliverable supply but decided, based on feedback, that position limits in other months should be based on total open interest (with the reservation that where there is no underlying deliverable supply for a commodity derivative, the spot month position limit should be based on an open interest too). In the Opinion, Draft Regulatory Technical Standards on methodology for calculation and the application of position limits for commodity derivatives traded on trading venues and economically equivalent OTC contracts, 2 May 2016, ESMA/2016/668 ESMA expressed the view deliverable supply for the spot month and open interest for other months' is appropriate metrics and the right approach. "The supply of the underlying commodity actually available is what matters when the contracts are nearing maturity whereas it is much less relevant for maturities that can go years into the future where open interest as a reflection of liquidity is the much more readily available and relevant metric," ESMA said in the above document. This conception gained a wide support in the ESMA's consultation. The US example, where this methodology "appears to be working seamlessly in practice", has also been invoked. The aforementioned ESMA's Opinion of 2 May 2016 also revised the definition of deliverable supply. In order to avoid causing disorderly markets as the spot month approaches, and to reduce the scale of discrepancies between deliverable supply and open interest, deliverable supply was specified to include any substitute grades or types of a commodity that can be delivered in settlement of a commodity derivative contract under the terms of that contract. Moreover, it was clarified that the other months' limit should be adjusted if the open interest is either significantly higher or lower than the deliverable supply. The said revised ESMA's approach has been widely implemented in the subsequent Commission Delegated Regulation (EU) 2017/591 of 1 December 2016 supplementing Directive 2014/65/EU of the European Parliament and of the Council with regard to regulatory technical standards for the application of position limits to commodity derivatives (RTS 21). UK FCA in the Q&As stressed that the spot/other month categorisation for position limits and position reporting is driven by the date of expiry of the position, not the execution date. Important preliminary remark when it comes to position limits’ values is the categorisation of liquid and illiquid contracts. For illiquid contracts, the spot month and the other months' limits are set by default in Article 15 of RTS 21 and amount to 2,500 lots or 2,5 million securities issued in the case of securitized derivatives. Liquid contracts receive bespoke position limits set by the relevant National Regulatory Authorities. Hence, the key document is the ESMA’s list of liquid commodity derivatives contracts for the purposes of positions limits. Another important general observation is that on 16 October 2017 ESMA has enabled access to the Financial Instruments Reference Data System (FIRDS), which is intended, inter alia, to support market data calculations for the purposes of position limits. Spot month contract in the context of the EU position limits regime means the commodity derivative contract in relation to a particular underlying commodity whose maturity is the next to expire in accordance with the rules set by the trading venue. 'Spot month' with reference to the position limits regime is understood broadly. The spot month period does not necessarily correspond to a time period which is a month but rather is specific to each commodity derivative contract and is the contract next to expire, as determined by the rules of the relevant trading venue, i.e. it could be 3 days, 2 weeks, 3 months etc. A contract that is economically equivalent OTC to an exchange-traded derivative (ETD) is considered a spot month contract when the commodity derivative traded on a trading venue to which it is equivalent is the spot month. For securitised commodity derivatives which do not have a maturity date or a series of different maturity dates no difference is made between the spot month and other months' for the purposes of the position limits regime. In the Questions and Answers, on MiFID II and MiFIR commodity derivatives topics (ESMA70-872942901-28, answer to the Question 15 updated on 15 December 2017) ESMA explained the definition of the spot month for contracts where there are daily, weekly, quarterly and calendar as well as monthly variants of the same contract. According to the said ESMA’s clarification, the determination of the spot month for the application of the spot month position limit should be made by the NCA on the basis of the contract specification and the characteristics of the market for that particular commodity derivative. For many contracts, the spot month will be the current calendar month in which delivery is taking place (until the final day of that month). For example, between 1 and 30 January, January is the spot month. In other contracts, where e.g. the January contract expires at the end of December, the spot month will change to the next calendar month which is available to trade. For these contracts, for most of January, the spot month will be February (and positions in any days or weeks falling wholly within February will count towards the spot month limit). Spot month position limits for cash settled and physically settled commodity derivatives are based on a percentage of deliverable supply and the baseline is set at the 25%. The exception is the spot month position limits for cash settled commodity derivatives with no deliverable supply (commodity derivatives listed under Annex I, Section C10 e.g. weather) which are based on a percentage of total open interest in the spot month. In the draft RTS of 28 September 2015 ESMA changed the earlier approach (as in the December 19, 2014 draft RTS), and adopted a more stringent formulation, i.e allowing Member States competent authorities to increase the 25% baseline position limit to only 35% and to decrease to 5% of the deliverable supply. By adopting this assymetric spread, ESMA has diminished the size of position limits in comparison with December 2014 methodology. ESMA also noted that it is possible to adopt this more stringent approach as new and illiquid contracts will be subject to a special regime. Crafting a special regime for new and illiquid contracts has enabled to adopt a more demanding regime for other contracts. The resulting two tiered regime reflects better the different trading characteristics of the instruments. 1. Competent authorities shall determine a baseline figure for the spot month position limit in a commodity derivative by calculating 25% of the deliverable supply for that commodity derivative. 2. The baseline figure shall be specified in lots which shall be the unit of trading used by the trading venue on which the commodity derivative trades representing a standardised quantity of the underlying commodity. 3. Where a competent authority establishes different position limits for different times within the spot month period, those position limits shall decrease on an incremental basis towards the maturity of the commodity derivative and shall take into account the position management arrangements of the trading venue. 4. By way of derogation to paragraph 1, competent authorities shall determine the baseline figure for the spot month position limit for any derivative contract with an underlying that qualifies as food intended for human consumption with a total combined open interest in spot and other months' contracts exceeding 50,000 lots over a consecutive three month period by calculating 20% of the deliverable supply in that commodity derivative. 1. Competent authorities shall calculate the deliverable supply for a commodity derivative by identifying the quantity of the underlying commodity that can be used to fulfil the delivery requirements of the commodity derivative. 2. Competent authorities shall determine the deliverable supply for a commodity deriviative referred to in paragraph 1 by reference to the average monthly amount of the underlying commodity available for delivery over the one year period immediately preceding the determination. (b) the factors that may affect the supply of the underlying commodity. (b) between 2.5% and 35%, for any derivative contract with an underlying that qualifies as food intended for human consumption with a total combined open interest in spot and other months' contracts exceeding 50,000 lots over a consecutive three month period. The spot-month period, which is the time period immediately before delivery at expiry, is specific to each commodity derivative and may not correspond to exactly one month. Spot month contracts should therefore refer to the contract that is the next contract in that commodity derivative to mature. Restricting the positions a person may hold in the period during which delivery of the physical commodity is to be made limits the quantity of the underlying deliverable supply each person may make or take delivery of, thereby preventing the accumulation of dominant positions by individuals which may enable them to squeeze the market through restricting access to the commodity. The standard baseline for the spot month position limit for both physically and cash settled commodity derivatives should therefore be computed as a percentage of the deliverable supply estimate. Competent authorities should be able to implement a schedule of decreasing position limits ranging from the point in time when a contract becomes a spot month contract until maturity in order to more precisely ensure that position limits are adequately set throughout the spot month period and to ensure orderly settlement. The standard baseline of 25% of deliverable supply and of open interest has been set with reference to the experience of other markets and other jurisdictions. The baseline should be adjusted by competent authorities to enable it to be reduced by a maximum of 20% (or 22.5% in the case of some agricultural commodity derivatives) and to be increased by a maximum of 10% (or 15% in the case of less liquid commodity derivatives) should the characteristics of the market require it, such as an absence of market participants, in order to support the orderly settlement and functioning of the contract and its underlying market. Since any adjustment to the baseline figure applies only where, and for so long as, objective characteristics of the market require it, temporary adjustments to the baseline should be therefore possible. Competent authorities should ensure that an adjustment downwards of the baseline is effected whenever it is necessary to prevent dominant positions and to support orderly pricing in the commodity derivative and in the underlying commodity. The range reflects that Directive 2014/65/EU covers a wider range of commodity derivatives and markets than other markets and jurisdictions. The definition of commodity derivative under Article 2(1)(30) of Regulation 600/2014 of the European Parliament and the Council is broad, comprising also securitised derivatives and cash settled derivatives which do not have a tangible underlying such as climatic variables. For securitised derivatives the concept of spot and other months' does not apply. For derivatives without a tangible underlying the deliverable supply cannot be used to establish a position limit. Therefore competent authorities should be able to enhance or adjust the methodologies to determine position limits for these commodity derivatives based on different parameters like number of securities issued or the use of open interest also for the spot month. The other months' period is the whole of the curve of the contract, excluding the spot month period. The other months' limits for both cash settled and physically settled commodity derivatives are based on a percentage of total open interest in the commodity contract excluding open interest in the spot month. Other months' limits are calculated as 25% of average annual open interest, expressed in lots in the underlying commodity ('the baseline'). The assymetric spread for the other months' positions limit has also been adopted - giving Member States competent authorities the power to adjust the baseline down to 5% and only up to 35% of open interest, taking into account specific factors (listed under Article 57(3)(a) to (g) of MiFID II). 1. Competent authorities shall determine a baseline figure for the other months' position limit in a commodity derivative by calculating 25% of the open interest in that commodity derivative. Competent authorities shall calculate the open interest in a commodity derivative by aggregating the number of lots of that commodity derivative that are outstanding on trading venues at a point in time. The other months' position limit is applied across all maturities other than the spot month. The standard baseline for the other months' position limits for both physically and cash settled commodity derivatives should be computed as a percentage of the total open interest. The distribution of positions across the other months' of a commodity contract is often concentrated in the months closest to maturity. Therefore total open interest provides a more appropriate baseline for setting position limits than using a figure averaged across all maturities. Baseline figures for spot month as well as other months' limits are to be specified in lots which are defined as "the units of trading used by the trading venue on which the commodity derivative trades representing a standardised quantity of the underlying commodity" (Articles 9 and 11 of the Commission Delegated Regulation, respectively). In turn, in the case of Economically Equivalent OTC contracts (EEOTC), where an OTC contract is not defined in standardised lots of an exchange-traded derivative, the size of the contract should be calculated as a multiple of the standard unit of trading used by the trading venue for the commodity derivative to which the OTC contract is equivalent. Specific rules have been envisioned for new and illiquid contracts (see Article 15 of the Commission Delegated Regulation (EU) 2017/591 of 1 December 2016). Trading venues have been subjected to the obligation to notify the competent authority if the total open interest of any such commodity derivative reaches any of the amounts of lots or number of securities in issue over a consecutive three month period. Article 15 states that new and illiquid contracts for which the total combined open interest in spot and other months’ contracts does not exceed 10,000 lots for a consecutive three-month period are assigned a position limit of 2,500 lots. Therefore, any contract with a high variability would have to exceed the threshold of 10,000 lots of open interest on a daily basis based on end-of-day figures for three consecutive months before an individualised position limit has to be set for that contract (ESMA's clarification of 29.03.2017). (d) for commodity derivatives as defined in point (c) of Article 4(1)(44) of Directive 2014/65/EU with a total number of securities in issue in excess of 10 million but not exceeding 20 million over a consecutive three month period, the competent authority shall set the spot and other months' position limit between 5% and 40%. 2. The trading venue shall notify the competent authority when the total open interest of any such commodity derivative reaches any of the amounts of lots or number of securities in issue mentioned in the previous paragraph over a consecutive three month period. Competent authorities shall review the position limit upon receiving such notifications. Certain commodity derivatives, in particular for power and gas, provide that the underlying be delivered constantly over a specified period of time such as day, month or year. Moreover, certain contracts with longer delivery periods such as year or quarter may be automatically substituted by related contracts of shorter delivery periods such as quarter or month (cascading contracts). In these cases, a spot month position limit for the contract to be substituted prior to delivery would be inappropriate, as such limit would not cover the expiry and physical delivery or cash settlement of the contract. To the extent that delivery periods of contracts for the same underlying overlap, a single position limit should apply to all the related contracts in order to properly take into account the positions across those contracts which may potentially be delivered. To facilitate this, related contracts should be measured in units of the underlying and aggregated and netted accordingly. In the answer to the Question 2 (Questions and Answers on MiFID II and MiFIR commodity derivatives topics updated 11 November 2017 ESMA referred to the issue of the the definition of a lot for the application of Article 15(1)(a) and (b) (New and illiquid contracts) of RTS 21 to those commodity derivatives for which a lot, as defined in the contract specification by the trading venue, does not represent a standard quantity of the underlying across all maturities/delivery periods for that commodity derivative. Firstly, ESMA observed that in some derivative markets (mainly related to power or gas), trading venues offer trading in derivative contracts that refer to an identical underlying but have a variety of delivery periods, e.g. annual (calendar), quarterly, monthly, weekly (whole week, working day week and weekend) or daily. For these contracts a lot or unit of trading, as defined in the contract specification by the trading venue, does not necessarily represent a standard quantity of underlying across all maturities/delivery periods, i.e. the lot size for a daily contract is different from that for a monthly contract as the lot size usually depends on the number of relevant days and/or hours in the delivery period. As the trading activity in European power and gas derivative markets is generally concentrated in monthly contracts, the period of the monthly contract should be used as the reference period. According to the ESMA’s stance expressed in Questions and Answers on MiFID II and MiFIR commodity derivatives topics (updated on 19 December 2016 and 11 November 2017), separate limits will not be set for futures and options on the same commodity derivative. - during the life of an option contract, the probability of the option expiring in the money is reflected in its delta value. Therefore, option positions should be converted into positions in their respective future contracts positions on the basis of the current delta to arrive at a delta equivalent futures position. Long delta equivalent positions on calls and short delta equivalent positions on puts should be added to long positions on futures. Short delta equivalent positions on calls and long delta equivalent positions on puts should be added to short positions on futures. If available, position holders should use the delta value published by the trading venue or the CCP to report their positions in options. In the absence of a published delta value, position holders may use their own calculation. Position holders should be able to demonstrate, on demand, to the National Competent Authority responsible for the application of the position limit that their calculations correctly reflect the value of the option. According to ESMA, the open interest of futures should be used for both futures and options on the same underlying. The above stance on position limits on options was formulated by the ESMA on 19 December 2016. On 11 November 2017 ESMA supplemented this opinion by saying that to determine which contracts are liquid under Article15 of RTS 21 and also to establish position limits based on the quantity of open interest, the open interest of futures plus the delta-adjusted open interest of options should be used, where there is a future and/or option traded on the commodity derivative and the relevant data are available. Pursuant to the ESMA, this is consistent with the reporting of positions made under Article 58 of RTS 21. On 29 March 2017 ESMA has issued a clarification, taking the form of the Q&As document and setting out the approach to a number of different types of commodity derivatives covered by Section C(10) of Annex I of MIFID II, such as freight rate derivatives, indices, spreads, etc. Acoording to the above ESMA's opinion, position limits should be applied to freight rate derivatives (wet and dry freight) based on the open interest both in the spot month and in the other months. ESMA also said that position limits should be applied to derivative contracts relating to indices if the underlying index is materially based on commodity underlyings as defined in Article 2 No. 6 of Commission Delegated Regulation (EU) 2017/565 of 25 April 2016 supplementing Directive 2014/65/EU of the European Parliament and of the Council as regards organisational requirements and operating conditions for investment firms and defined terms for the purposes of that Directive. ESMA considers that the underlying index derivative is materially based on commodities if such commodities have a weighting of more than 50% in the composition of the underlying index. The spot and the other months’ limits should be based on open interest only, in accordance with Article 13(1) of the Commission Delegated Regulation (EU) 2017/591 of 1 December 2016 as no single measurable deliverable supply can be determined for the commodities contained within the index. A commodity derivative contract in the legal form of a “spread” or “diff” contract is a contract that is cash-settled and whose value is determined by the difference between two reference commodities which may vary in type, grade, location, time of delivery, or other features. Whilst having multiple commodity values underlying it, the commodity derivative is available on a trading venue as a single tradable financial instrument. A spread contract is different to a spread trading strategy, when two or more commodity derivative contracts may be traded together in order to achieve a certain economic effect. Such a strategy may be executed by a single action in a venue’s trading systems, but it remains composed of separate and legally distinct commodity derivatives which are executed as trades simultaneously. As a spread contract has no single commodity at a specific place or time as the underlying, it is not possible to link it to a single physical deliverable supply against a contractual obligation to physically settle the trade. It is for this reason all spread contracts are cash-settled and not physically settled. Article 57(4) of MiFID II states ‘A competent authority shall set limits for each contract in commodity derivatives traded on trading venues based on the methodology [...]’. Whilst specifically referencing each contract, this should refer to outright instruments (i.e. the disaggregated components of spreads) and the limits be applied at that level. The prevailing limits will apply to the net eligible positions, inclusive of spread limits, post-disaggregation. For other derivatives listed in Section C10 of Annex I of MiFID II and in Article 8 of Commission Delegated Regulation of 25 April 2016, ESMA is not expecting the setting of any position limits as the underlyings of such derivatives are not considered to be commodities as defined in Article 2 No. 6 of Commission Delegated Regulation of 25 April 2016. When calculating position limit in commodity derivative pursuant to MiFID II the size of a net position is relevant. Pursuant to Article 57(12)(c) MiFID II ESMA was required to develop draft regulatory technical standards to determine "the methodology for aggregating and netting OTC and on-venue commodity derivatives positions to establish the net position for purposes of assessing compliance with the limits." 1. The net position of a person in a commodity derivative shall be the aggregation of its positions held in that commodity derivative traded on a trading venue, in commodity derivatives considered the same commodity derivative to that commodity derivative in accordance with paragraph 1 of Article 5, and in economically equivalent OTC contracts pursuant to Article 6. 2. Where a person holds both long and short positions in any of the commodity derivatives referred to in paragraph 1, the person shall net those positions to determine its net position for that commodity derivative. 3. Positions held by a non-financial entity in commodity derivatives that are objectively measureable as reducing risks in accordance with Article 7, as approved by the competent authority pursuant to Article 8, shall not be aggregated for the purposes of determining the net position of that non-financial entity. 4. A person shall determine separately the net position it holds in a commodity derivative for both the spot month contracts and the other months' contracts. (b) the net positions of each of its subsidiary undertakings. 2. By way of derogation to paragraph 1, the parent undertaking of a collective investment undertaking or, where the collective investment undertaking has appointed a management company, the parent undertaking of that management company shall not aggregate the positions in commodity derivatives in any collective investment undertaking where it does not in any way influence the investment decisions in respect of opening, holding or closing those positions. The said provision also stipulates that criteria with respect to positions' netting must not facilitate the build-up of positions in a manner inconsistent with the objectives set out in MiFID II. ii. aggregating its positions with the positions in that commodity derivative contract of its subsidiary undertakings (save for certain limited exceptions). The terms "the same commodity derivative contract" and "the EEOTC contract" are explained below. As regards the aggregation of positions within the corporate groupings the organisations EFET, Eurelectric, EUROPEX in the document Ensuring effective and efficient regulation of European commodity derivative markets of 4 September 2015 argued that positions' aggregation should be restricted to a person's fully consolidated subsidiaries only, however, the binding rules do not reflect explicitly this postulate. Instead, Article 4 the Commission Delegated Regulation (EU) 2017/591 of 1 December 2016 mandates the netting of positions of "subsidiary undertakings" and Recital 4 of the said Regulation refers to aggregation at the group level if a parent undertaking "can control the use of positions". "Directive 2014/65/EU requires that any positions held by other persons on behalf of a person should be included in the calculation of that person's position limit and for position limits to be applied at both an entity level and at a group level and it is therefore necessary to aggregate positions at a group level. It is appropriate to only provide for aggregation at the group level if a parent undertaking can control the use of positions. Accordingly, parent undertakings should aggregate positions held by their subsidiaries with any positions that the parent entity holds directly, in addition to the subsidiaries aggregating their own positions. Such aggregation can lead to positions calculated at the level of the parent undertaking which are larger or, due to a netting of long and short positions held by different subsidiaries, lower than at individual subsidiary level. Positions should not be aggregated at the level of the parent undertaking if the positions are held by collective investment undertakings which hold those positions on behalf of their investors rather than on behalf of their parent undertakings in cases where the parent undertaking cannot control the use of those positions for its own benefit." It appears, derivative contracts are capable of being aggregated or netted only after converted into the same metric, however such a "leveling" will rise difficulties with respect to positions with different tenor or maturity, different lot sizes or pricing currency or a similar but different underlying commodity. As a consequence of different methodology of the calculation of position limits for spot and other months' contracts proposed by ESMA on 28 September 2015, it was envisioned, however, that netting should be applied separately to the spot month and other months' positions. "Long and short positions in a commodity derivative of market participants should be netted off against each other to determine the effective size of a position a person controls at any point in time. The size of a position held through an option contract should be calculated on a delta equivalent basis. As this Regulation applies a different methodology to the calculation of position limits for spot and other months' contracts, such netting should be applied separately to the spot and other months' positions." In the Q&As ESMA confirmed, moreover, that "position limits apply to net positions regardless of whether the net position is long or short. When calculating their positions, a person needs to aggregate their long and short holdings in spot contracts towards the spot month limit. They separately need to aggregate all their long and short positions for all other months towards the other months' limit." Positions with different maturities for other months' limits must also be netted. According to ESMA persons must determine their net position for each commodity derivative for the other months' limit, as indicated in Article 3(4) of the Commission Delegated Regulation. Also the UK FCA underlined that separate positions with different maturities across the curve within the non-spot month period should be summed or netted to apply the other months’ limits - excluding only positions in the spot month for that commodity derivative. The concept of the same commodity derivative should establish a demanding threshold to prevent persons from inappropriately netting positions across dissimilar commodity derivatives in order to circumvent and weaken the robustness of the position limit on the principal commodity derivative contract. This should not prevent competent authorities from setting similar position limits for similar commodity derivative contracts under the coordination of the European Securities and Markets Authority (ESMA). Commodity derivatives should only be considered as trading in significant volume on a trading venue if they exceed the liquidity threshold specified in this Regulation for a sufficient period of time. "The concept of the same commodity derivative should establish a demanding threshold to prevent persons from inappropriately netting positions across dissimilar commodity derivatives in order to circumvent and weaken the robustness of the position limit on the principal commodity derivative contract," reads the Recital 5 of the Commission Delegated Regulation (EU) 2017/591 of 1 December 2016. A central competent authority has the responsibility for setting the position limits on the same commodity derivative, when the same commodity derivative is traded in more than one jurisdiction within the EU. Article 57(12)(d) of MiFID II envisions the delegation to secondary acts to determine what constitutes "the same commodity derivative". In the ESMA's view, the 'same' is a subset of economically equivalent. A commodity derivative is the same if it is at least economically equivalent. In addition to be considered the same it must have other equivalent properties, such as accepting the same deliverable supply for settlement, and that the contracts are traded under, or with reference to, the same set of trading venue rules and form part of a single fungible pool of open interest. ESMA notes that a cash-settled contract is not the same as a physically-settled contract and, by definition, an EEOTC contract cannot be the same as a contract that is traded on a trading venue under the rules of that trading venue. "Same commodity derivative" in the ESMA's view is a contract traded on a trading venue which is economically equivalent to another commodity derivative traded on a trading venue with the additional requirement that both contracts form a single fungible pool of open interest, or, in the case of securitised commodity deriviatives, of securities in issue. ESMA has explained on 29 March 2017 that commodity derivatives with "a single fungible pool of open interest" for the purposes of the above provision include those cleared by the same central counterparty (CCP) and those in interoperable CCPs which may be closed out against each other. This term also includes other commodity derivatives with delivery obligations which are fungible and can be closed out against each other (for example, through the operational netting provided by a transmission system operator). It has been proposed by ESMA that holdings in identical contracts, whether listed on the same trading venue or cross-listed on multiple trading venues, or contracts that meet the criteria of "economically equivalent OTC contract" (EEOTC), should be included within the calculation of a person's position whether held on the same venue, across multiple venues, or executed bilaterally OTC. In the Final Report of 28 September 2015 ESMA defined the EEOTC "as a contract which has the identical contractual specifications and terms and conditions, excluding post trade risk management arrangements, as a contract traded on a trading venue". With respect to the issue of proper identification of EEOTC ESMA considered that "conclusive list of EEOTC contracts would be very helpful", but creating such a list "may be unworkable and would in any event need to be regularly updated." Also the UK FCA in the Q&As MiFID II commodity derivatives said there will be no authorised list of EEOTC contracts and that it is the responsibility of the investment firm who enters into an OTC transaction to determine whether it is an EEOTC contract in accordance with MIFID II. Some hazards of mandatory netting of "economically equivalent" derivative contracts have been raised. Among them is the fact that "economically equivalent" derivative contracts are not the same, and variations in national insolvency regimes may in many cases cause such contracts will not be able to be netted. (b) provide appropriate discretion for CCPs to determine where netting is permissible. On the other hand, it was often commented, the definition of 'economically equivalent OTC contracts' is very narrow since the OTC contract must have not similar, but identical specifications to the contract on a trading venue, to qualify. An OTC derivative shall be considered economically equivalent to a commodity derivative traded on a trading venue where it has identical contractual specifications, terms and conditions, excluding different lot size specifications, delivery dates diverging by less than one calendar day and different post trade risk management arrangements. Where an over-the-counter (OTC) contract is valued on the same underlying commodity that is deliverable at the same location and with the same contractual conditions and if it is having a highly correlated economic outcome to a contract traded on a trading venue, it should be deemed economically equivalent regardless of small differences in the contractual specifications concerning the lot sizes and the date of delivery. Also differences in post trade risk management arrangements, such as clearing arrangements, should not be barriers to declaring such contracts as economically equivalent. In order to prevent inappropriate netting of potentially dominant positions traded on a trading venue by the use of bilateral arrangements in OTC contracts and to ensure an efficient operation of the position limits regime in practice it is necessary for commodity derivatives traded OTC to be considered economically equivalent to trading venue contracts only in limited circumstances. To deter avoidance of position limits and to enhance the integrity of the position limit regime it is necessary that a definition of an economically equivalent OTC contract is narrowly framed so that it does not permit a person to net an OTC position against multiple other positions or to exercise discretion in the choice of positions against which it is netted. In case of very limited number of contracts falling under the EEOTC category, this would have a direct impact on restricted netting possibilities, and as a consequence, more firms impacted by position limits (see also: MiFID II position limits regime - be mindful of EEOTC (Economically-Equivalent OTC Contracts)!). In the Opinion, Draft Regulatory Technical Standards on methodology for calculation and the application of position limits for commodity derivatives traded on trading venues and economically equivalent OTC contracts, 2 May 2016, ESMA/2016/668 ESMA acknowledged the concern that the definition of EEOTC is too specific and therefore may allow contracts that are similar to on-venue contracts not to be considered when establishing the net position of a specific market participant and thus allow circumvention of the position limit regime's purpose by spreading positions across exchange-traded and OTC contracts. The argument, however, has been also raised that drafting the EEOTC definition in too wide a fashion carries an even higher risk of enabling circumvention of position limits by creating an ability to net off positions taken in on-venue contracts against only roughly similar OTC positions which would have the potential to undermine a general decision taken at Level 1. ESMA has therefore covered two additional possibilities where the contractual specifications might not be identical but still qualify as EEOTC. In case the specifications of the OTC contract in respect of lot sizes and delivery dates would be different from the on-venue contract this would not stop the OTC contract from being considered EEOTC. However, in the case of delivery dates the divergence with the exchange-traded contract is limited to one day. Different delivery locations will in ESMA's view, generally mean different economic characteristics. Having given consideration to the benefits and drawbacks of aggregating contracts with different delivery arrangements, ESMA has decided not to propose amendments in this regard. If, however, minor differences in delivery arrangements or other contract parameters are in future used with the apparent intent of circumventing the regime, ESMA may propose further amendments to the definition. The above ESMA's approach has been finally implemented in Article 6 of the Commission Delegated Regulation (EU) 2017/591 of 1 December 2016 (see box). ESMA stated in paragraph 41 of its Consultation Paper of December 2014 that it regards the geographical scope of MiFID II Article 57 as bounded within the EU and Article 5(3) of draft RTS 30 of December 2014 only envisaged aggregation of positions with other positions held by other persons within the same group "in the European Union" to determine the final net position. Market participants main proposal, in response to the above interpretation, was that netting across contracts traded in other jurisdictions should be permitted in order to ensure that position limits reflect the economic reality and the real risk exposure of a participant's activity. They, moreover, argued that the term 'economically equivalent' OTC contracts is not defined by Level 1 and therefore there is scope for ESMA to provide for a broader definition. ISDA Response to ESMA's MiFID II/MiFIR Consultation Paper of December 19, 2014 (p. 166) observed it is not clear from the consultation paper what ESMA's views are on the territorial scope of the position limits under Article 57 of MiFID II. ISDA added, it would be important that Member States take a common approach to the scope of application of these requirements. Accordingly, ESMA should indicate how Member States should apply the requirements. However, in the Final Report of 28 September 2015 ESMA sustained its initial stance that, as MiFID II does not address the possibility of the same derivative contract being listed on a third-country venue (i.e. a venue that is not a trading venue as defined by MIFID II), the geographical scope of Article 57 MiFID II is limited to the European Union. -firms engaged much in an extra-EU trading would possibly approach the position limit sooner. Subsequently, ESMA has issued the Opinion of 31 May 2017 on determining third-country trading venues for the purpose of position limits under MiFID II (ESMA70-156-112) and the relevant passage appeared in the MiFID Q&As as below. Should economically equivalent contracts traded on a third-country venue be considered EEOTC for position limit and position reporting purposes under MiFID II? Whether or not positions held in commodity derivatives contracts traded on third-country venues that are economically equivalent (EE) to contracts traded on an EU trading venue, are to be considered as EETOC for position limit and position reporting purposes under Article 58(2) of MiFID II depends on the characteristics of that third-country trading venue, as set out in ESMA Opinion 70-154-165 of 31 May 2017. Market participants holding positions on third country venue contracts, that may be considered EEOTC under Article 58(2) of MiFID II and Article 6 of Commission Delegated Regulation (EU) 2017/591 of 1 December 2016 supplementing Directive 2014/65/EU of the European Parliament and of the Council with regard to regulatory technical standards for the application of position limits to commodity derivatives (RTS 21), or considering trading such contracts, should contact their CA and make them aware of those contracts. The CA will then get in touch with the third-country venue with a request for further information. Based on the information provided, ESMA will determine whether the third-country trading venue meets the criteria set out in the ESMA Opinion. If so, the respective third-country venue will be listed in an Annex to the Opinion. Where a third-country trading venue appears in the annex to the Opinion, EE contracts traded on that venue will not be considered EEOTC for position limit and position reporting purposes. EE contracts traded on any other third-country trading venue that does not appear in the Annex to the Opinion will be considered EEOTC. ESMA is aware that it is important for market participants to have legal certainty as soon as possible on the treatment of their transactions in EE contracts on third-country trading venues for position limit and reporting purposes. Whilst ESMA cannot commit to any set timeline for the assessment of the information received through NCAs, all notifications will be processed as expediently as possible. Hence, the ESMA’s stance expressed in the Opinion of 31 May 2017 (ESMA70-156-112) was that only third-country trading venues that were evidenced in the Annex to the ESMA Opinion would not be considered EEOTC and would not be able to be netted. This regulatory U-turn run counter previous ESMA's stance on the treatment of third-country trading venues for the purposes of MiFID II position limits. However, it seems ESMA responded this way to the pertinent industry concerns, but the conception proposed still entailed much legal uncertainty. - determination of this issue is necessary to assess whether commodity derivatives traded on a third-country venue should be counted towards the EU position limit regime. - contracts in commodity derivatives traded on a third-country facility, which is considered as a trading venue, should not be regarded as OTC and, hence, that the positions resulting from trading those contracts should not count towards the EU position limit regime. ESMA also determined a set of objective criteria for third-country trading facilities that should be considered for the purposes of the MiFID II position limit regime. c. being subject to supervision and enforcement on an ongoing basis in accordance with the legal and supervisory framework of the third-country by a competent authority that is a full signatory to the IOSCO Multilateral Memorandum of Understanding concerning Consultation and Cooperation and the Exchange of Information (MMoU). - a list of trading venues not meeting these criteria. Those lists will published in an Annex to the said Opinion and will be updated on an ongoing basis. Any identification of trading venues for the purposes of the consistent application of position limits provisions set out in MiFID II proposed by the said ESMA Opinion does not in any way prejudice an equivalence assessment performed by the European Commission under MiFID II/MiFIR and, in particular any equivalence assessment of third-country trading venues for the purposes of the trading obligation for shares and derivatives, in accordance with Article 25(4)(a)of MiFID II and Article 28(4) of MiFIR. In the said Opinion of 15 December 2017(ESMA70-154-466) ESMA also decided that in order to contribute to the smooth implementation of MiFIDII/MiFIR as of 3 January 2018 and to maintain a level playing field between third country trading venues, commodity derivative contracts traded on third country trading venues should not be considered economically equivalent OTC under Article 6 of RTS 21 pending the publication of the outcome of the assessment of the criteria stated above (there are more than 200 third-country trading venues under ESMA’s review). The categories of trades not capable of being netted off in the same group will in particular be non-MiFID OTC physical trades (that are not covered by MiFID Annex I Section C and, consequently, are not under the financial regulation) and the MiFID trades in financial instruments. The above shortcoming is contested by the ISDA Response to ESMA's MiFID II/MiFIR Consultation Paper of December 19, 2014, which argues that the EU position limits regime should "allow netting on a broad basis in order to accurately reflect the fact that fabricators / manufacturers look to financial institutions / trading houses for supply of physical commodities (e.g. metal fabricators) and that these financial institutions / trading houses will hedge these physically settled forwards (e.g. non-MiFID financial instruments) with on venue commodity derivatives. To the extent that physical positions remain ineligible for netting, the risk position will not be accurately reflected and the limit will be reached quicker than if netting of OTC physical positions was permitted." However, the provision at issue (Article 57(1) MiFID II) refers to commodity derivatives and not to the underlying commodity. According to the ESMA's interpretation (ESMA's Discussion Paper on MiFID II/MiFIR of 22 May 2014, ESMA/2014/548, p. 413), Article 57(1), MiFID II requires physical holdings to be excluded from the calculation of a person's net positions (although such positions may be relevant for utilising the hedging exemption - see below). Also in the Final Report of 28 September 2015 ESMA reiterated that providing that financial firms can net off positions in commodity deriviatives against physical inventory is neither desirable nor in line with MiFID II (p. 353). The chances for the U-turn of the attitude seem small since the regulator clearly and consequently argues netting of instruments against physical holdings and instruments outside of MiFID II's scope is not permitted. In the Final Report of 28 September 2015 ESMA referred to the fact that in establishing the exemption for wholesale energy products under the definition of C6 financial instruments, MiFID II expressed the intent that these instruments were subject to the REMIT regime and not the MIFID II. Therefore, it was once more underlined it would be inappropriate for persons to be permitted to net, or be required to aggregate, instruments that are not financial instruments under MiFID II. Equally, ESMA noted that Article 57(1) of MiFID II refers to the holdings of a person in a commodity derivative and EEOTC contracts: it does not refer to holdings of an underlying commodity and therefore the netting and/or aggregation of underlying physical assets is not considered to be within the intentions of MiFID II. The net positions held by clearing members are not usable for the purposes of determining the positions of their clients for the application of position limits under Article 57 of MiFID II. CCPs determine net positions at the level of their clearing members, which usually encompass the long and short position of many different clients unless held in individually segregated accounts. A CCP may also see positions only for those contracts for which it provides a central counterparty service and not the EEOTC positions or any held at a CCP subject to interoperability. Position limits apply at the level of the individual person, and net positions held at clearing level must therefore be disaggregated (stance of ESMA presented in the MiFID II Q&As). Inevitably, the positions' netting for the purposes of position limits compliance will be complicated issue and will require strict attention as the rules in that regard may not always occur as clear as market participants could expect. ESMA has explained on 29 March 2017 that once a hedging exemption has been granted (details on the hedging exemption from position limits framework see below) and positions in commodity derivatives are approved by the competent authority as risk-reducing, those positions fall outside the position limit regime and mustn't be netted against positions in derivatives which are not covered by the hedge exemption. Otherwise, in the ESMA's opinion, the benefit of a risk-reducing position would be double-counted, by first being excluded from the limit and then being used to offset a speculative exposure. The key point in respect of non-financial entities is that position limits do not apply to positions held which are objectively measurable as reducing risks directly related to the commercial activity of that non-financial entity. MiFID II reporting expressly requires to differentiate such positions from any other trades. Hedging exemption is not available to financial counterparties. (b) it qualifies as a hedging contract pursuant to International Financial Reporting Standards (IFRS) adopted in accordance with Article 3 of Regulation (EC) No 1606/2002 of the European Parliament and Council. (b) is able to provide a sufficiently disaggregated view of the portfolios in terms of class of commodity derivative, underlying commodity, time horizon and any other relevant factors. In order to establish which positions in commodity derivatives are objectively measurable as reducing risks directly relating to commercial activity, certain criteria should be provided, including the use of the accounting definition of a hedging contract based on International Financial Reporting Standards (IFRS) rules. That accounting definition should be also available to non-financial entities even though they do not apply IFRS rules at an entity level. Additionally, non-financial entities should be able to use risk management techniques to mitigate their overall risks arising from their commercial activity or that of their group, including risks arising from several geographic markets, several products, time horizons or entities ('macro or portfolio hedging'). When a non-financial entity uses macro or portfolio hedging, it may not be able to establish a one-to-one link between a specific position in a commodity derivative and a specific risk arising from the commercial activity that the commodity derivative is intended to hedge. 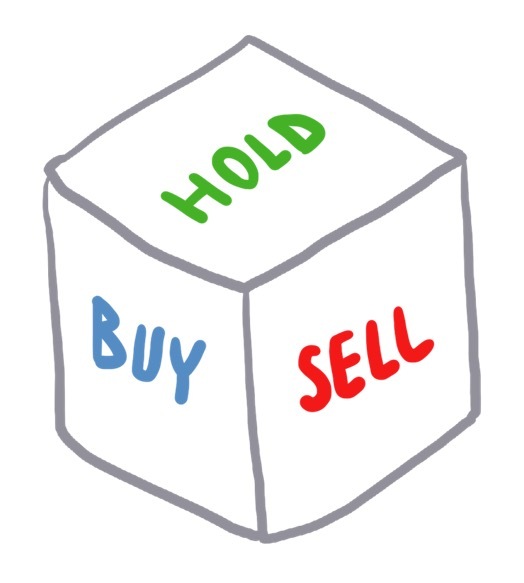 A non-financial entity may also use a non-equivalent commodity derivative to hedge a specific risk arising from commercial activity where an identical commodity derivative is not available or where a more closely correlated commodity derivative does not have sufficient liquidity ('proxy hedging'). In such cases, risk management policies and systems should be able to prevent non-hedging transactions from being categorised as hedging and should be able to provide for a sufficiently disaggregate view of the hedging portfolio so that speculative components are identified and counted towards the position limits. Positions should not qualify as reducing risks related to commercial activity solely on the grounds that they have been included as part of a risk-reducing portfolio on an overall basis. A risk may evolve over time and, in order to adapt to the evolution of the risk, commodity derivatives initially executed for reducing risk related to commercial activity, may have to be offset through the use of additional commodity derivative contracts that close out those commodity derivative contracts that have become unrelated to the commercial risk. Additionally, the evolution of a risk that has been addressed by the entering into of a position in a commodity derivative for the purpose of reducing risk should not subsequently give rise to the re-evaluation of that position as not being a privileged transaction ab initio. As MiFID II does not provide a definition of what a "non-financial entity" is, ESMA has clarified that it is the inverse of a "financial counterparty" as defined under EMIR. In other words, a non-financial entity for the purposes of the position limits regime is the same as a non-financial counterparty under EMIR (ESMA's Final Report of 28 September 2015, p. 352). (j) a central securities depository authorised in accordance with Regulation EU No 909/2014 of the European Parliament and of the Council. A third-country entity is a non-financial entity if it would not require authorisation under any of the aforementioned legislation if it was based in the Union and subject to Union law. "Positions objectively measurable as reducing risks directly related to the commercial activity"
The category of "positions objectively measurable as reducing risks directly related to the commercial activity" used in the Commission Delegated Regulation applicable to position limits significantly resembles EMIR Regulation, and, Article 10(4)(a) of EMIR, analogously, required ESMA to develop draft regulatory technical standards (RTS) based on a similar Level 1 text. EMIR, however, includes reference to the "treasury financing activity", which is absent in the MiFID II position limits wording. This discrepancy can be explained by the fact, the MiFID II position limits framework is restricted to commodity derivatives, and these instruments are not commonly used for the purpose of treasury financing. 3) it qualifies as a hedging contract pursuant to International Financial Reporting Standards (IFRS), adopted in accordance with Article 3 of Regulation (EC) No 1606/2002 of the European Parliament and of the Council. ESMA believes that the interpretation and consequent application of risk-reducing activity through position limits should be consistent (with the reservation that EMIR addressed this question only in relation to OTC trades) as far as possible with the RTS produced under EMIR. Therefore, it was initially assumed, the EMIR-applicable interpretation which contracts are objectively measurable as reducing risks directly relating to the commercial activity can be applied by analogy. 1. Given the language of the hedging exemption for position limits is the same as that under Article 10(3) of EMIR, with the exception that it applies to commercial activities only and not to treasury activities, the EMIR definition for hedging is used as the basis of the position limits hedging definition. The said hedging definition under EMIR has been amended for position limit purposes to the extent that it also applies to derivatives traded on trading venues. Elements, which refer to treasury activities, have been removed. 2. Position limits structuring for hedging replicates arrangements in the RTS for the hedging exemption under the MiFID II ancillary activity exemption, the use of the clarification under the EMIR Q&A (question 10) has also been retained (with the spirit of this guidance included in a recital). The regulators' stance behind is it is reasonable to require a firm to demonstrate some linkage between transactions and its hedging position. It is, however, clearly explained by ESMA it does still permit portfolio hedging (ESMA's Final Report of 28 September 2015, p. 348). The above conceptions have been subsequently codified in Article 7 of the Commission Delegated Regulation (EU) 2017/591 of 1 December 2016 (see box). To conclude this thread, a broader reflection comes to mind. that from the systemic point of view, consistent perception of the hedging criterion across the MiFID II/MiFIR and EMIR legal frameworks can't be overestimated as any discrepancies would have significant potential to misguide the market and increase compliance costs. Hence, ESMA's efforts to exploit interconnections between these legal frameworks are fully reasonable. It needs to be stressed the hedging exemption does not operate automatically but requires a notification from the non-financial counterparty and regulatory approval. The specific procedure by which non-financial entities that are holding positions for the purpose of risk-reduction may be exempted from the position limits regime (including how the relevant competent authority will approve such applications) is the domain of the MiFID II level 2 legislation. The task of drafting in that regard was entrusted to ESMA by Article 57(12)(f) of MiFID II, ESMA was also required to specify how the relevant competent authorities should proceed to approve such applications. 1. A non-financial entity holding a qualifying position in a commodity derivative shall apply for the exemption referred to in the second subparagraph of paragraph 1 of Article 57 of Directive 2014/65/EU to the competent authority which sets the position limit for that commodity derivative. (d) an explanation of how the non-financial entity's use of commodity derivatives directly reduces its exposure and risks in its commercial activities. 3. 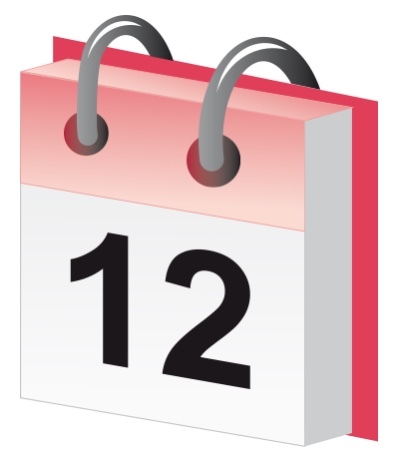 The competent authority shall approve or reject the application within 21 calendar days after it has received the application and shall notify the non-financial entity of its approval or rejection of the exemption. 4. The non-financial entity shall notify the competent authority if there is a significant change to the nature or value of the non-financial entity's commercial activities or its trading activities in commodity derivatives and the change is relevant to the information set out in point (b) of paragraph 2 and shall submit a new application for the exemption if it intends to continue to use it. Non-financial entities should be able to apply for the exemption in relation to hedging of commercial activities before entering into a position. The application should give the competent authority a clear and concise overview of the commercial activities of the non-financial entity in respect of an underlying commodity, the associated risks and how commodity derivatives are utilised to mitigate those risks. Position limits apply at all times and should the exemption ultimately not be granted by the competent authority, the non-financial entity should reduce any position in excess of a limit accordingly and may face supervisory measures in respect of a breach of a limit. Non-financial entities should re-assess their activities periodically to ensure that the continued application of the exemption is justified. 6. Submissions most probably will be made online to the relevant competent authority by means of an electronic portal. In the above Consultation Paper, ESMA underlined that the intention of MiFID II is that the exemption is available only in respect of specific positions: it is not a universal exemption for certain types of persons, which exempts them from position limits for all activities undertaken in all commodity derivative contracts, regardless of whether they are risk-reducing or speculative. In the Final Report of 28 September 2015 ESMA supplemented the above considerations with the conclusion that a person should apply for an exemption from a position limit for risk reducing positions to the competent authority of the trading venue for that contract. The competent authority may require the person to demonstrate that a specific position is risk reducing and may withdraw the exemption for that position if insufficient information is provided. In terms of timelines, ESMA initially proposed that each competent authority would have up to 30 calendar days to consider the notification and decide whether to approve it, after which a reply will be given. However, after the stakeholders' opinions ESMA revised its approach and this timeline has been shortened from 30 to 21 calendar days. Where a competent authority expects to oppose the use of the exemption, it may contact the person and give a short period of time in order to provide any relevant additional information before a final decision is made. A number of market participants suggested replacing the proposed ex ante procedure with an ex post one, which would allow immediate trading. Others proposed an ex ante approval as a general rule but that nevertheless it should be possible for a firm to seek an ex post approval. "We believe the annual hedging exemption should be complemented with a mechanism for non-financial entities to seek position limit exemptions on an ex-post basis – for example to react to unexpected events such as outages at physical infrastructure. This mechanism should require prompt assessments by national competent authorities to minimise disruption and prevent disorderly trading." However, ESMA commented upon this issue that replacing the proposed ex ante procedure with an ex post model would fall outside the legal powers available to ESMA in the process of the MiFID II implementation. The UK FCA explained in more detail the practical mechanics of the exemption from position limits. According to the FCA, the exemption will be an uncapped exemption based on an assessment of the application. The FCA will monitor reported positions against the information provided in the application form. If there is a significant change in the nature or value of the non-financial entity’s commercial or trading activities, in the circumstances described in Article 8(4) of the Commission Delegated Regulation (EU) 2017/591 of 1 December 2016, it is required that the entity should submit a new application. - firms should not apply any exemption granted in the reporting of the positions of a client. Important consideration is that position limit exemptions granted will not be listed publicly. The approval of a position limit exemption is a matter between the national competent authority and the applicant. This entails that firms are not required to monitor the position limit compliance of their clients, compliance with position limits is the sole responsibility of the position holder. So there is no expectation that a firm (such as a broker) should know, or need to know, the exemptions granted to any individual person. On 7 July 2017 ESMA explained in the form of Questions and Answers on MiFID II and MiFIR commodity derivatives topics (ESMA70-872942901-28) that an application to the relevant national competent authority of a trading venue for a position limit exemption is necessary for a Non-Financial Entity (NFE) only when it expects to be in excess of the position limit for a given commodity derivative. This regulatory clarification may occur extremely important for non-financial counterparties, as it means that most of them, having limited volume of activity, are in practice freed from bureaucratic burdens involved with the respective administrative procedures. It is useful to add that in the respective Questions and Answers ESMA referred also to the issue of the availability of the hedging exemption to the non-EU entities with positions above the limits. The regulator's stance is non-financial entity from outside the European Union may apply for an exemption in the same manner as an EU firm would. The UK FCA made also clear the issue that have been sometimes misunderstood: FCA underlined that the risk-reducing flag in position reporting refers to the purpose for which the position is held, and not whether or not a position limit exemption has been approved for that person. In September 2017 FCA added an important clarification that non-financial entity cannot apply for an exemption for a position it holds on behalf of another entity for legal or operational reasons, including positions it holds on behalf of a group-entity (Financial Conduct Authority, Commodity position limits exemption application guide, September 2017, p. 4, 7). Only a non-financial entity on whose behalf such positions are held, may apply for an exemption for those positions. In other words, the NFE can only apply for those positions where it is the beneficial owner. Moreover, FCA once more underlined that the NFEs should apply for an exemption in respect of a limit established by another NCA, directly to that NCA in the manner it prescribes. As part of the application form an applicant that is a legal entity should provide an LEI. If an entity no longer qualifies as an NFE, it should cancel any existing exemptions it has been granted by submitting a cancellation form. 2.1 Please provide the details of the commodity derivative contracts which you wish to seek an exemption or cancellation for in the table below. - Trading venue MIC code – if the applicant trades only EEOTC, the equivalent trading venue MIC code to which the EEOTC relates needs to be provided. - VPC – if the applicant trades only EEOTC products, the applicant is required to provide the corresponding trading venue VPC. - Spot month contract total risk-reducing position: quantity should be specifed in the units traded, i.e. xxxxlots. - Other months’ contract: total risk-reducing position quantity aggregated over the period covered and specifed in the units traded i.e. xxxx lots. - If other units (please specify). For the position value for the ‘other months’ contract, positions with different maturities for within the other months’ period should be netted. Persons must determine their net risk-reducing position for the other months’ contract for the relevant commodity derivative. For same commodity contracts, firms should specify both contracts for which an exemption is required if traded in the UK. The total size of the positions provided in the spot month contract: total risk-reducing position and other months contract: total risk-reducing position should be an aggregation of the figures for each same commodity derivative contract. Make this clear in the application form. Provide a description of the exposures and risks in section 2.5. 2.2 Please provide a description of the nature and value of your commercial activity in the commodity underlying this commodity derivative. Please specify the commodity derivative alongside the description. 2.3 How was the value of your commercial activity, as described in 2.2 calculated? Please specify the commodity derivative alongside the description. Describe how the value of the commercial activity in the relevant commodity derivative has been calculated. 2.4 What is the nature and value of your activity in the trading of and positions held in this commodity derivative? This should include activity on trading venues and in any EEOTC. Please specify the commodity derivative alongside the description. Describe the nature and value of the trading activity in this commodity derivative. Break down the values into trading volumes for the spot month contract and for the other months’ contract in a particular commodity derivative. 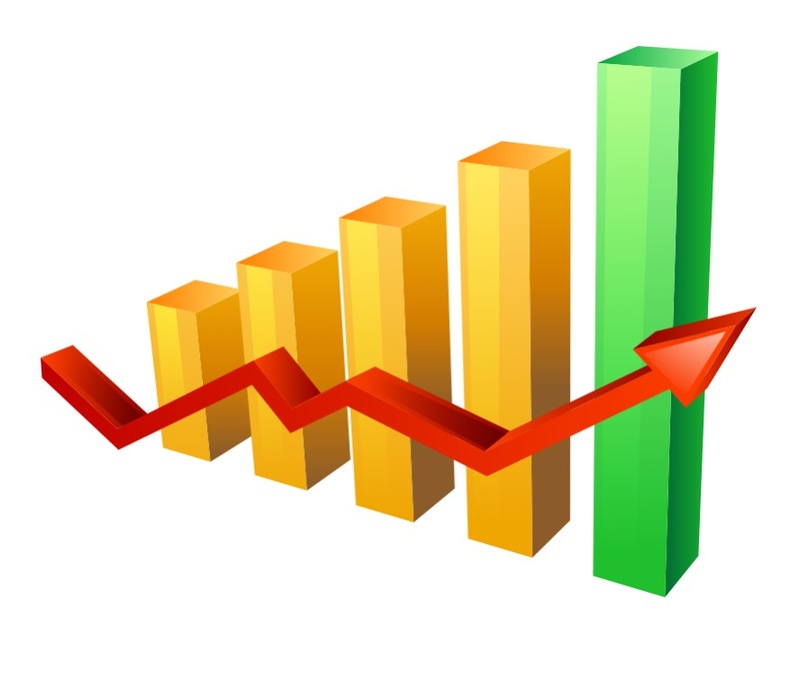 Please note that we expect the values you provide to be based on trading volumes over the period covered by the last set of financial statements, as opposed to expected figures, unless the entity has not traded for more than 12 months or there is a material change to a business activity. 2.5 Please provide a description of the nature and size of the exposures and risks in the relevant commodity which you have or expect to have as a result of your commercial activities or trading activities, and which are or would be mitigated by the use of commodity derivatives. The description should include an explanation of how your use of the commodity derivative directly reduces your exposures and risks in your commercial activities. Please specify the commodity derivative alongside the description. Describe the nature and size of the exposures and risks as a result of the commercial activities in the relevant commodity. Please specify how using the commodity derivative(s) qualifies as reducing risks directly relating to its commercial activities. The explanation must cover the elements of Article 7 RTS 21. Explain why a particular commodity derivative is relevant to your commercial business, particularly where it may appear unrelated. 2.6 Please provide supporting evidence you wish to be considered as part of this application and highlight relevant sections. - Internal policies describing the types of commodity derivative contracts included in the portfolios used to reduce risks directly relating to commercial activity and their eligibility criteria; the link between the portfolio and the risks the portfolio is mitigating. - Information used to apply for the ancillary activities exemption tests under RTS20. - Information used for EMIR reporting. ESMA asked stakeholders for views regarding transitioning into new position limits, specifically, what period a position limit should be fixed for a specific contract (except in exceptional cases) and how much notice of subsequent adjustments to a position limit would respondents consider appropriate. All respondents agreed with ESMA's proposal that position limits should be set for a fixed period rather and that amending them on a real time basis is not optimal. Opinions varied, however, regarding the length of such a fixed period, depending on the type of commodity targeted or on the periodicity of the publication of the deliverable supply statistics. Approximately half of respondents proposed an initial period of two years followed by annual reviews. Most of the respondents considered it important that there should be a sufficiently long notification period of changes to existing position limits to minimise potential market disruption. A majority supported a 3 to 6 month notice period for new limits although some respondents considered a shorter period would be manageable. Respondents also noted that the notification period is strongly linked to a number of factors including: frequency of the periodic review, itself linked to the type of commodity and the access of deliverable supply data; the grandfathering of open positions prior to the revision; and, the level of the limits and of their revisions. Position limits will be set at national levels, however, the common methodology is the matter of the MiFID II secondary legislation. Moreover, ESMA has been also assigned with the task of ensuring that a single position limit effectively applies to the same contract irrespective of where it is traded. The latter point, however, leads to concerns whether regulatory arbitrage between EU Member States in setting position thresholds will be possible. Rigorous, and, on the other hand, more loose national caps on positions exhibit a potential to attract or deter investors in particular markets. The question may arise whether business is capable in any way to strategically prepare for the functioning of position limits architecture. It would rather be difficult since MiFID II exibits in that regard an extreme flexibility - national competent authorities possess powers to review position limits whenever there is "a significant change in deliverable supply or open interest or any other significant change in the market". Apart from that, it should be noted supervisory powers of national financial authorities under MiFID II include the competence to request any person "to take steps to reduce the size of the position or exposure". Conseqently, business plans and strategies as well as legal documentation of transactions must take account of the above - possibly unexpected - regulatory interventions. To mitigate some of the above risks MiFIID II foresees the procedure for establishing the trading venue where the largest volume of trading takes place and the significant volumes. Where the same contracts are traded in different Member States, there is a need to assign one competent authority to set a limit which applies in all relevant countries. This assignment is made on the basis of the country in which the trading venue with the largest average daily volume is located. Where the "same" commodity derivative is traded in significant volume on two or more trading venues in two or more Member States, the competent authority of the trading venue with the largest volume will be the central competent authority. ESMA was required under Article 57(12)(d) to define what is a significant volume of trading in the same commodity derivative. For clarity, ESMA noted that this will only be required where the same commodity derivative is traded on two or more trading venues within the European Union. (b) in the case of commodity derivatives defined under point (c) of Article 4(1)(44) of Directive 2014/65/EU, when the number of units traded multiplied by the price exceeds an average daily amount of 1 million EUR. (b) in the case of commodity derivatives defined under point (c) of Article 4(1)(44) of Directive 2014/65/EU, the highest average daily amount. According to ESMA's initial proposal, where the same commodity derivative contract is traded on two or more trading venues within the European Union, the determination of a central competent authority would be required whenever there were at least three lots of open interest in the same commodity derivative contract simultaneously traded on more than one trading venue. A majority of the respondents agreed with ESMA's proposal on this matter, recognising the importance of establishing a framework in which avoiding position limits regime is not possible. Other considered the limit too low. Although ESMA shared the view that the determination of the central competent authority is needed as an important piece of the regulatory regime, it also acknowledged that the regime entails inherent cost and would only be efficient beyond a higher significance threshold. Therefore, ESMA aligned the threshold for significant volumes with the threshold for new and illiquid contracts, thus adopting a consistent approach to the threshold. ii. in the case of securitised commodity derivatives defined under point (c) of Article 4(1)(44), when the number of units traded multiplied by the price exceeds an average daily amount of €1,000,000. Largest volume is calculated over a period of one year. ESMA noted that trading venues that list the same commodity derivative contract must put in place appropriate communication and liaison arrangements to ensure that the volumes of open interest are known at all times to the relevant competent authorities. The above considerations have taken the legislative form in the Article 5(2) of the Commission Delegated Regulation (EU) 2017/591 of 1 December 2016 (see box). - to document in writing the procedures referred to above and to record whether the clearing clients comply with those procedures. The legal base for the said requirements is Article 26 of the Commission Delegated Regulation (EU) 2017/589 of 19 July 2016 supplementing Directive 2014/65/EU of the European Parliament and of the Council with regard to regulatory technical standards specifying the organisational requirements of investment firms engaged in algorithmic trading. Article 57(8) MiFID II requires investment firms and market operators operating trading venues to apply position management controls. ESMA's view is that this regime will operate in tandem with position limits set by the national financial regulatory authorities described above. ESMA's Discussion Paper on MiFID II/MiFIR of 22 May 2014 (ESMA/2014/548) underlines that "these controls are a mandatory part of the new control framework and will necessarily interact closely with the ESMA position limits methodology and the relevant competent authority's position limits regime. Any position limits set by a trading venue using its position management powers will of necessity be of an equal or lesser size than that established by the relevant competent authority".